Overview : Ticket to Ride. The Travel Express is your all-in-one mobile office solution. Store and protect your MacBook Air or MacBook Pro, cables, power brick and accessories, and you're good to go anywhere...fast. Soft, scratch-free pockets protect each item from bumps and bruises and extra pockets hold wallet, phone and other essentials. The Travel Express keeps your essentials organized and protected all in one place. 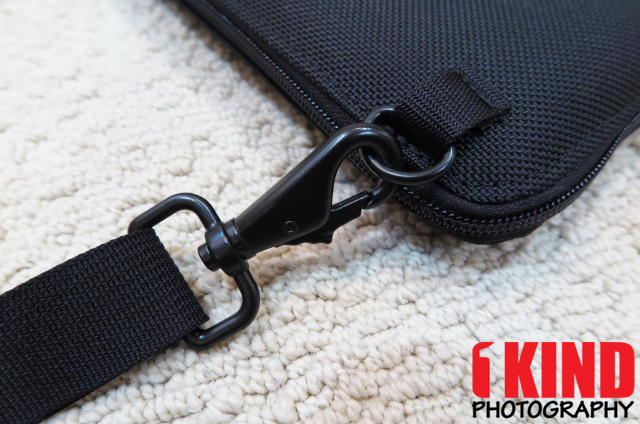 YKK self-locking zipper opens the case along the top & side panel for easy access. 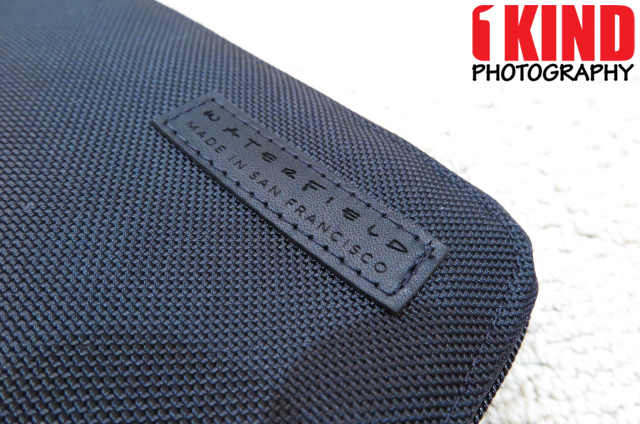 Quality/Usability : I've been a big fan of Waterfield Designs and they have been my go-to company for bags/cases for my electronics. 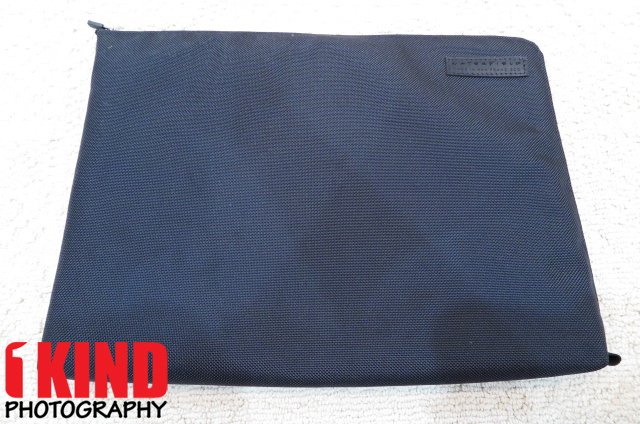 They make exceptional bags for laptops, tablets and mobile phones. Their products are well-designed, made from premium materials, and look fantastic. 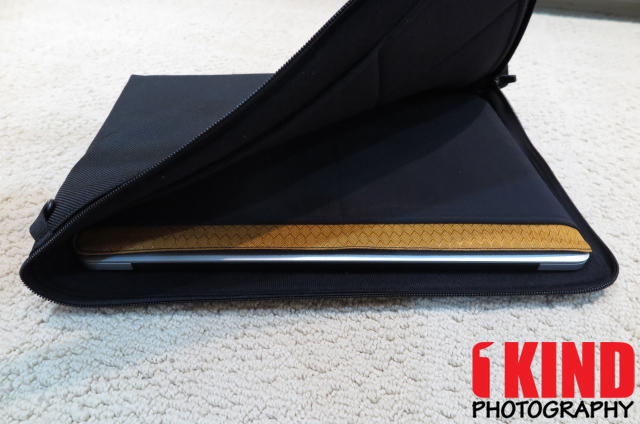 So when I got my new 15" Macbook Pro Retina [Amazon / B&H Photo / Adorama], you know I had to go to them. 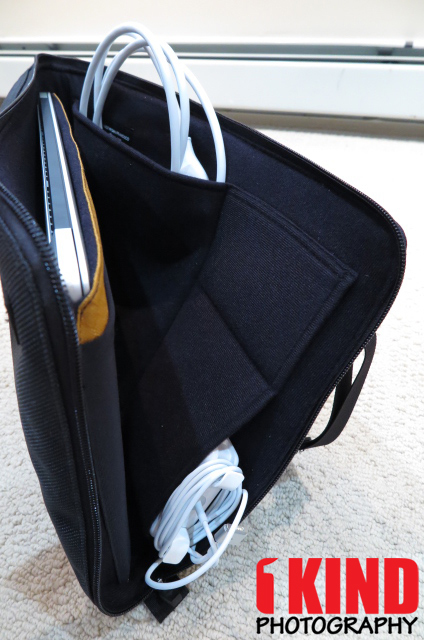 I wanted a bag that would not only hold the Macbook Pro but also hold the charger and other accessories. The one bag that caught my eye was the Travel Express case. I'm a plain person and went with the black nylon that is water resistant. They also have a tan waxed canvas. There's no external pockets. 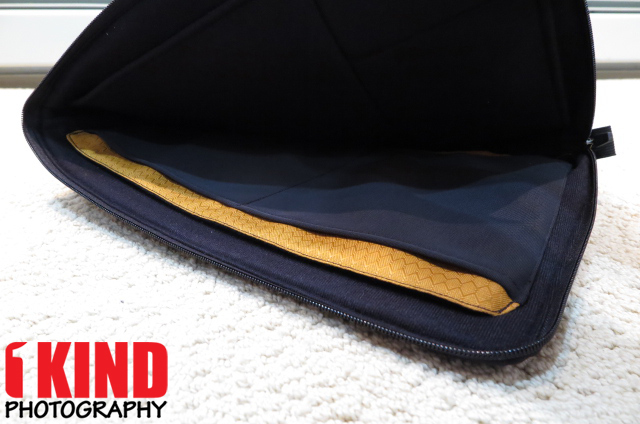 Depending on the bag, Waterfield would sometimes charge for installing D-rings. 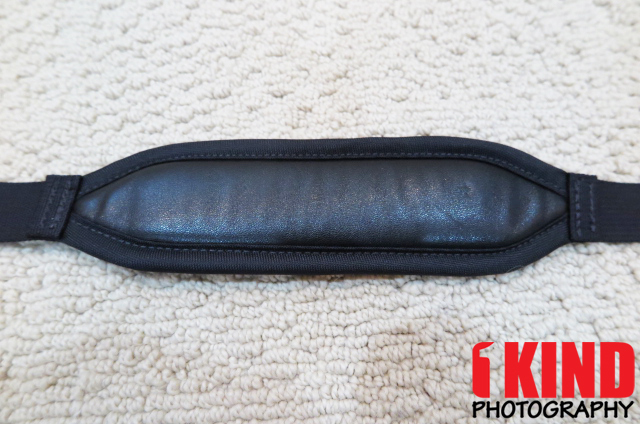 With the Travel Express, the D-ring is included and can be used with a strap so that it becomes a messenger-style bag. 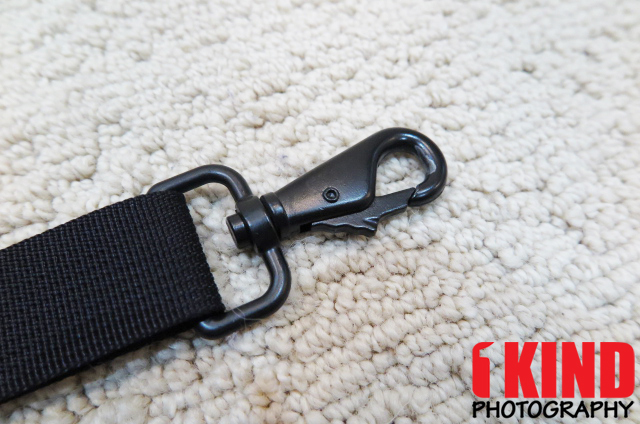 Waterfield offers two different strap options – the Simple Strap ($12) or the Suspension Strap ($22; pictured). If you have your own strap, you can use that instead. You can also simply carry the case under your arm or slip it into another larger bag and use it as a sleeve. 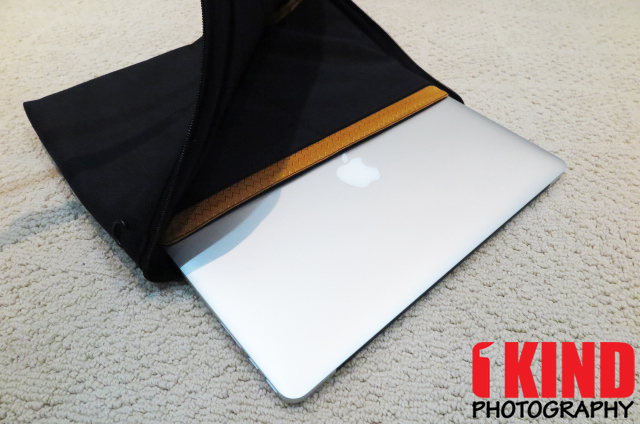 The main laptop compartment is padded and big enough just to fit the laptop and fits snuggly. I have a smoked black plastic case that I use to protect my Macbook for accidental scratches but the Macbook wouldn't fit with the case on. So I'm left with no choice but to take off the case in order for me to insert the rMBP into the Travel Express case. 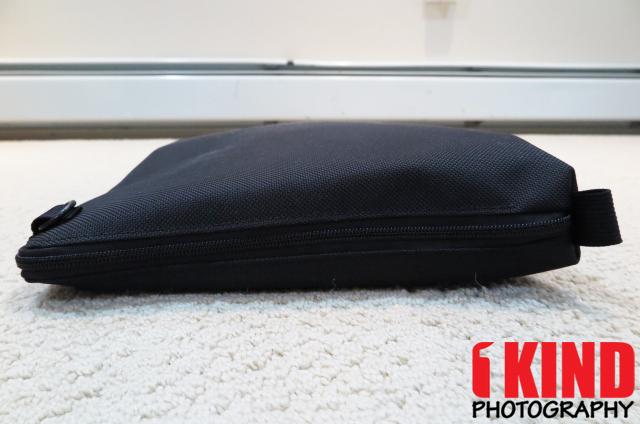 The Travel Express case is just large enough for you to keep your essentials in one place so that you can stay organized and travel light. 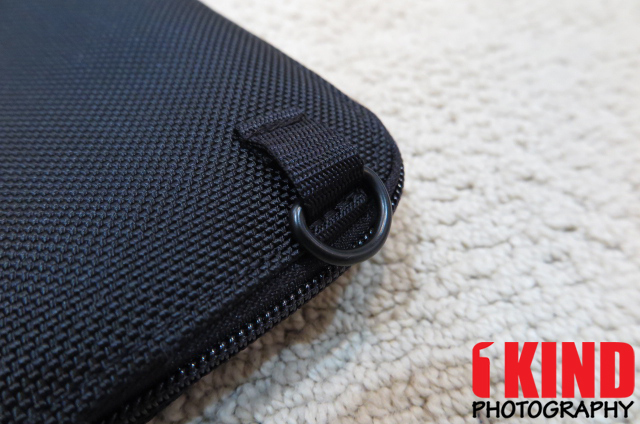 On the opposing side are interior pockets that ensures your devices will be scratch-free and safe while traveling; two elastic mesh-like pouches and three nylon padded pouches attached to the other side of the case. 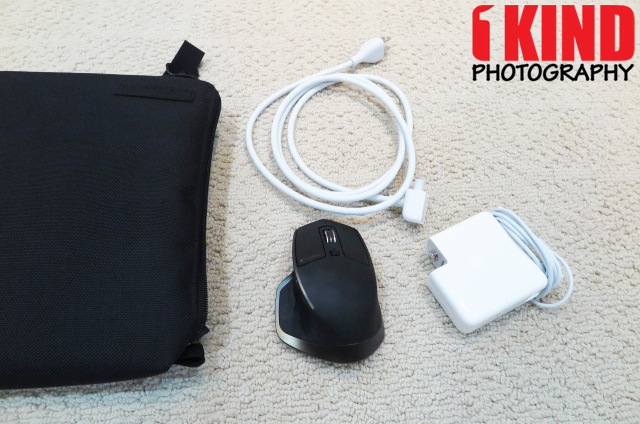 Any of the pouches can be used to hold your cables, mouse, cables and charger. 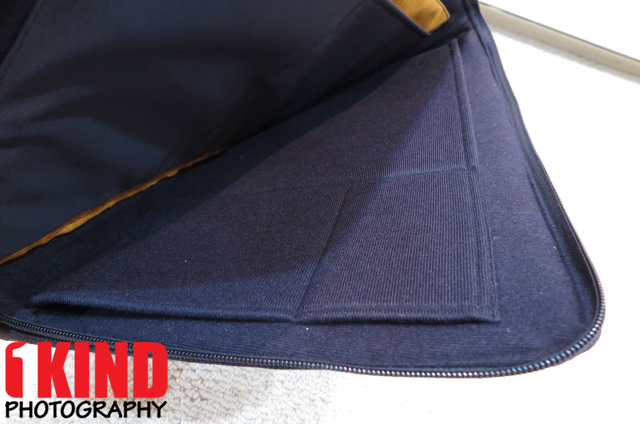 One of the nice features is the self-locking zippered closure. It opens along the top and side of the case. 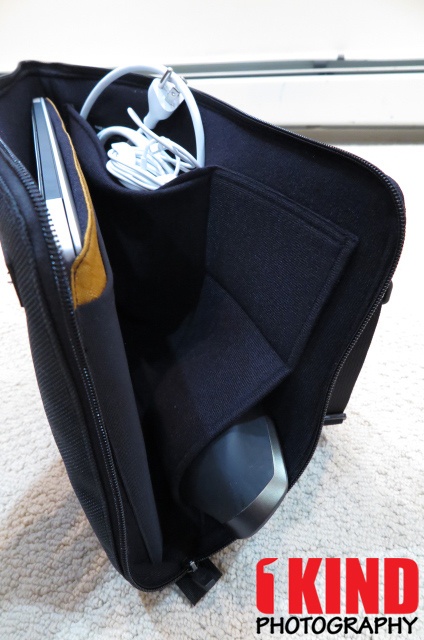 It makes it very easy to access your belongings but without the bag fully flipping opening. 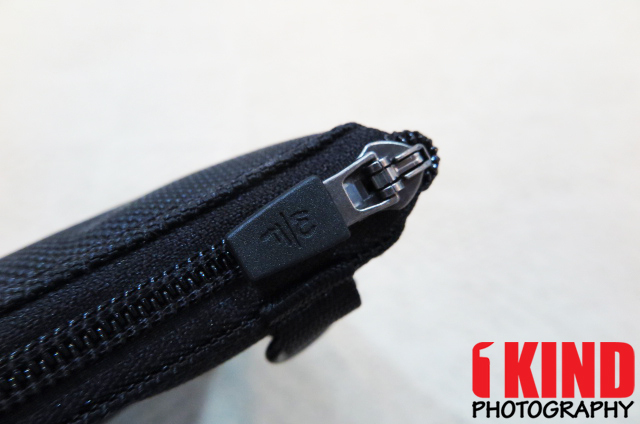 Although the bag is water resistant, the zipper is your standard zipper and won't prevent any water from entering. 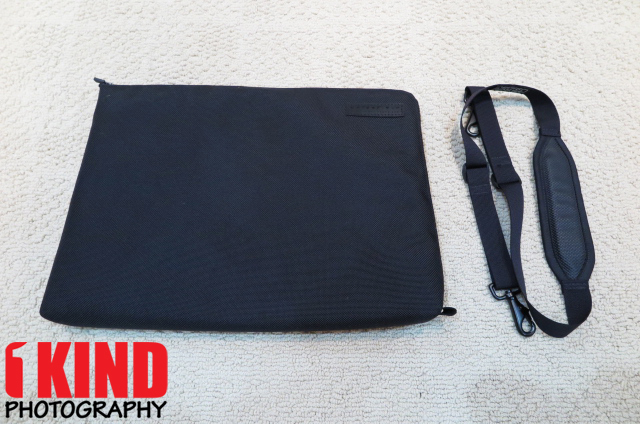 Conclusion : Overall, the SFBags Waterfield Designs MacBook Travel Express Case is a must have if you're carrying your Macbook around. The Macbook fits snug and is well protected. I love the fact that I'm able to carry the charger and other accessories all in the same bag and not separately. 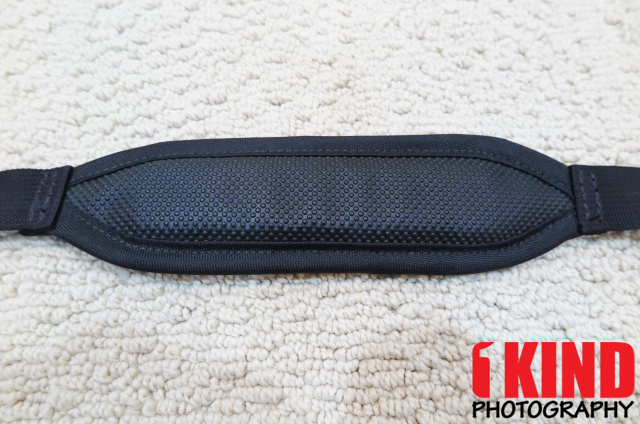 The strap is very comfortable and well worth the few extra bucks.